Recently we met a great photographer named Kenneth who uses our software to enhance his shots. Here, we find out a bit about Kenneth and discuss his passion for photography with him, highlighting why he likes to use InPixio for his work. Kenneth is a professional photographer who works with his own business: Australian Photography Tours. Kenneth specializes in classes and adventure tours with photography in Australia. He is currently working with a boutique based in Sydney called The Conference Room which is an incentive, conference and event agency supporting their way with Singapore Banks. Kenneth personally uses his Canon 5D MK111 and Sony A6000. But, during his classes he mostly used his mobile phone. Kenneth is accredited with NSW National Parks, hold a Parks ECO license as a nature based photographer and as a certificate Tourism Business. 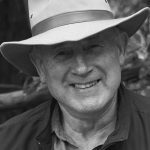 Kenneth was engaged for four years creating photographic evidence for the Environmental Defenders Office who represented the Macarthur Bushwalkers in a court action to prevent one of the world’s largest mining and steelmaking companies from destroying the Sydney drinking water catchment. Kenneth is a lover of diversity in his photographs and of Australia. 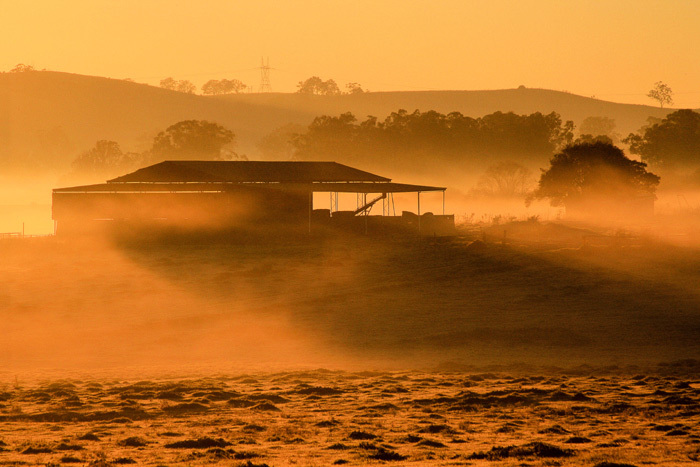 Kenneth win the Adobe Perfect Picture of the Year Competition 2012 for Australasia with a photograph taken at Menangle just south of Campbelltown NSW. When he entered the competition using an old basic Canon 1000D and a kit lens 18-55mm. He needed to prove that the composition of a photo is what it’s the most important. It’s why he typically uses phones in his classes today to take pictures, though still teaches in SLR format to those who prefer. 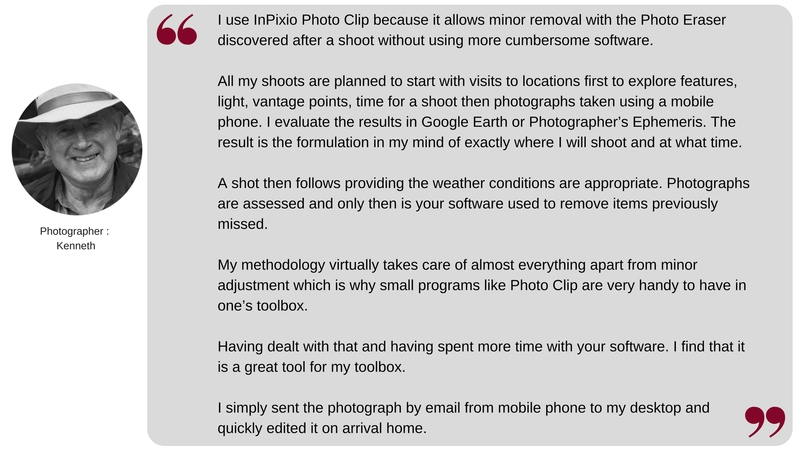 Kenneth is an experienced photographer and built his passion for photography throughout his life so we were interested to find out just how and why he uses InPixio. Why did you choose InPixio software? 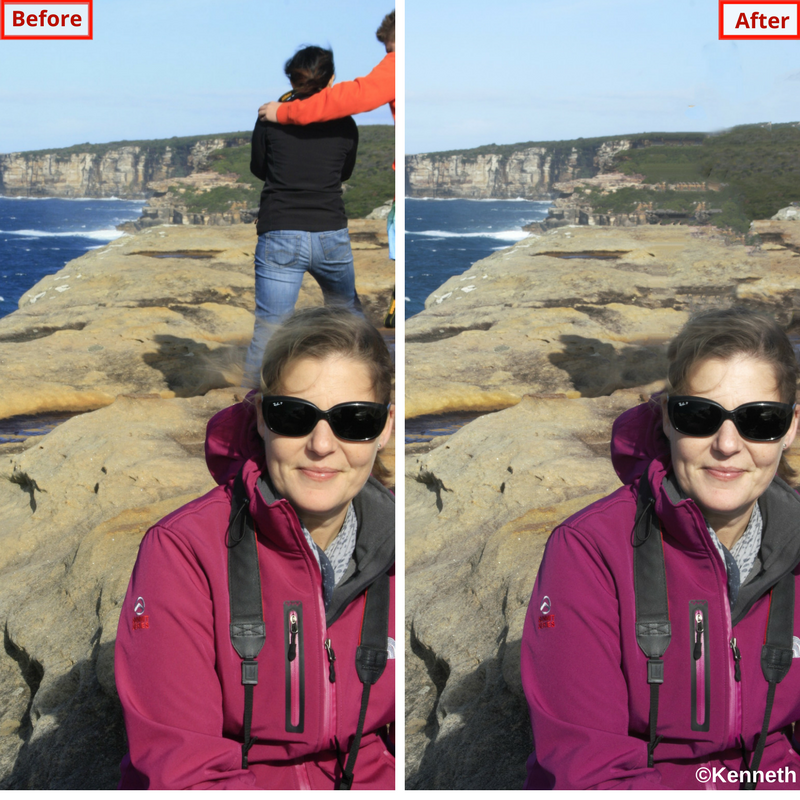 The first photo, was taken when Kenneth was giving a photography lesson in the NSW Royal National Park. The student dressed in a reddish colored, wet-weather coat is sitting in front of two people in the background which he has removed. 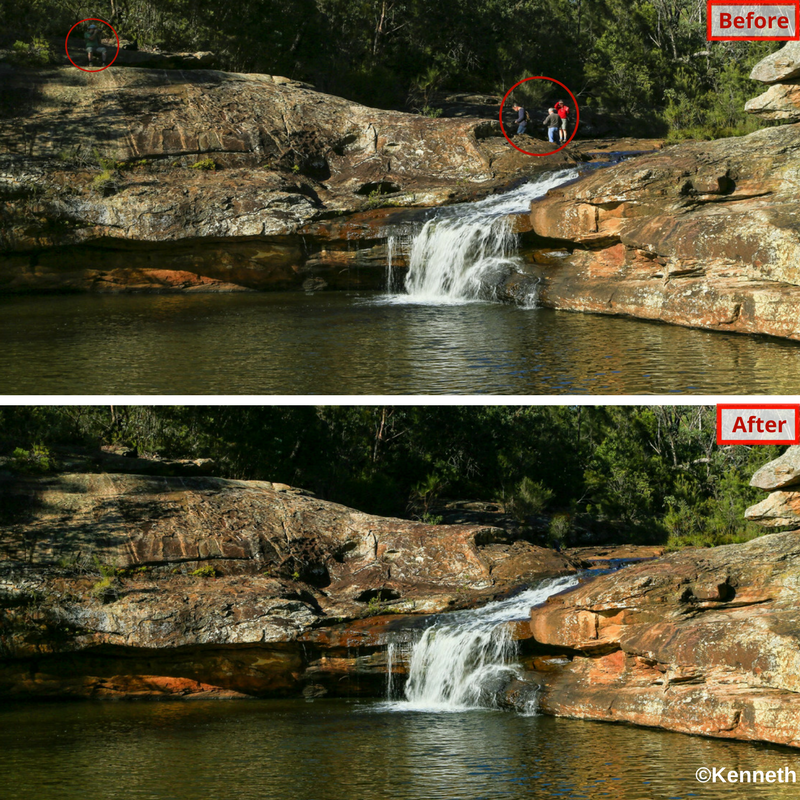 On the second photo, the waterfall original photo has three figures directly on top which has been removed. To the far left on top of highest point of the rock is another figure which has also been removed. We appreciated a lot talking with Kenneth. He now becomes one of our favorite photographers. 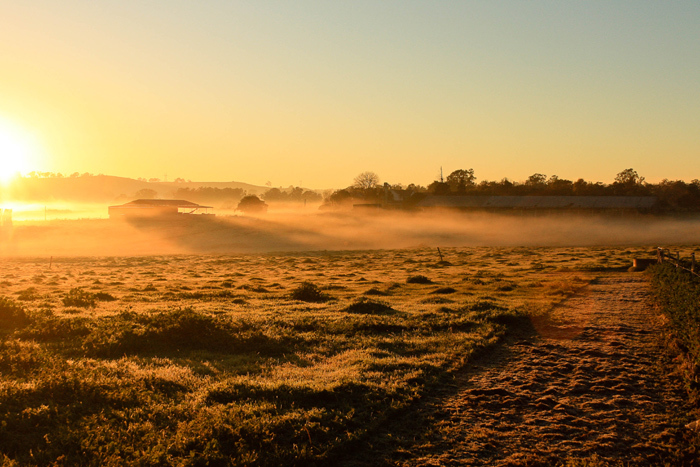 We are so happy to share his philosophy and his photos ! We love sharing great stories with you.